Breast cancer survivors who lift weights are less likely than their non-weightlifting peers to experience worsening symptoms of lymphedema, the arm- and hand-swelling condition that plagues many women following surgery for their disease, according to new University of Pennsylvania School of Medicine research. The findings challenge the advice commonly given to lymphedema sufferers, who may worry that weight training or even carrying children or bags of groceries will exacerbate their symptoms. "Our study challenges the historical medical recommendations for women who get lymphedema after breast cancer, and is another example of well-meaning medical advice turning out to be misguided," says lead author Kathryn Schmitz, PhD, MPH, an associate professor of Epidemiology and Biostatistics and a member of Penn's Abramson Cancer Center. "For instance, we used to tell those who had back pain to rest, but we know now that in many cases, inactivity can actually make a bad back worse. Too many women have missed out on the health and fitness benefits that weight lifting provides, including building bone density. Our study shows that breast cancer survivors can safely participate in slowly progressive weight lifting and gain those benefits without any increase in their lymphedema symptoms. In fact, this type of exercise may actually help them feel better." In the largest study to date to examine the impact of weight training on this sometimes debilitating, incurable condition, Schmitz's team enrolled 141 breast cancer survivors with a current diagnosis of lymphedema. Half were assigned to a weight-lifting group that participated in small- group, twice-weekly, 90-minute exercise classes for 13 weeks. During that time, with guidance from trained fitness instructors in community fitness centers in Pennsylvania, New Jersey and Delaware, the women worked up to greater resistance and more sets of weightlifting exercise. For the next 39 weeks, the women continued twice-weekly unsupervised exercise, with trainers calling to check in on women who missed more than one session per week. The women wore a custom-fitted compression garment on their affected arm during their workouts, and each week were asked about changes in symptoms. Their arms were measured monthly to ensure any changes were noted as soon as they occurred. The 70 control group participants, meanwhile, were asked not to change their exercise level during study participation. During the course of the study, women in the weightlifting group experienced fewer exacerbations of their condition, and a reduction in symptoms compared to the women who did not lift weights. There were 19 women in the control group who experienced lymphedema exacerbations that required treatment from a physical therapist, compared to 9 in the treatment group. The proportion of women who experienced an increase of five percent or more in their limb swelling was similar in both groups -- 11 percent of the weight-lifting group and 12 percent in the control group. The researchers theorize that a controlled weightlifting program may have protective benefits, by boosting strength in affected limbs enough to ward off injuries from everyday activities that can aggravate lymphedema symptoms. 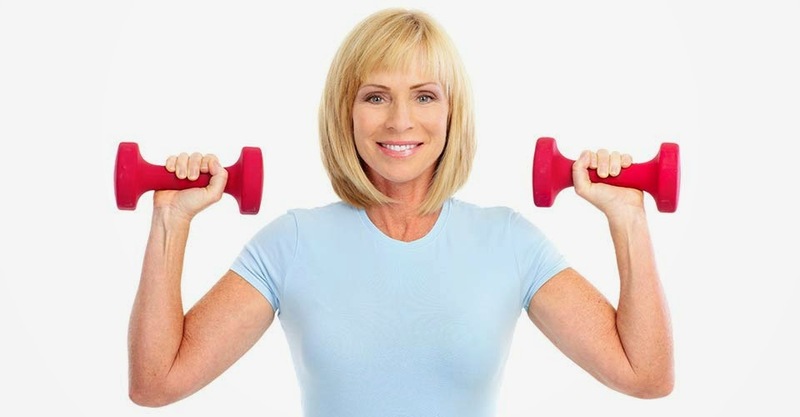 "Our study shows that participating in a safe, structured weight-lifting routine can help women with lymphedema take control of their symptoms and reap the many rewards that resistance training has on their overall health as they begin life as a cancer survivor," Schmitz says. "We did the intervention in community fitness centers deliberately, in the hope that positive results seen in our study would continue to be available to breast cancer survivors long beyond the end of the research study." It is recommended that women start with a slowly progressive program, supervised by a certified fitness professional, in order to learn how to do these types of exercises properly. Women with lymphedema should also wear a well-fitting compression garment during all exercise sessions. The new research was conducted in partnership with YMCAs in Philadelphia, Montgomery and Delaware Counties in Pennsylvania and in Burlington County in New Jersey, as well as Sisters-In-Shape Fitness in Philadelphia. Staff at the Edison-Metuchen YMCA in New Jersey have also been trained to deliver this intervention. The research was supported by grants from the National Cancer Institute and the National Center for Research Resources. IT's just an amazing thing i have seen about weight lifting,.